Star Transmission, the 100% Daimler branch in România, will expand the production capacities from Sebes with the production of the modern 9-speed automatic gearboxes from April 4, 2016. Daimler collaborates with the mechanical enterprise in Cugir ever since 1996, when parts for the first generation gearboxes of Mercedes A-Class were being built there. In 2001, Daimler started the Star Transmission Cugir co-association for the manufacturing of cogwheels and parts for Mercedes and other automotive brands in Europe. Subsequently, the enterprise expanded in Sebes. In 2011, scale parts and components are being manufactured in Cugir and small-lot production, prototypes and devices, including gearboxes set ups – in Sebes. Production from Sebes was transferred last year at Cugir. Starting 2013, Star Transmission became a 100% Daimler branch and started the expansion of the manufacturing capacities in Sebes. In July 2013, a new 9000 square meter assembly hall started the production of the 5-speed automatic gear boxes destined for the Mercedes commercial vehicles, when the two production capacities in Cugir and Sebes reached 1.000 employees. In the beginning of 2014, as a follow up of a 40 million euros investment into a 13 000 sqm hall, commenced the production of the new 7-speed double clutch automatic gearboxes, destined for the new compact Mercedes family, based on the new front wheel drive platform (A, B, CLA, GLA-Class). On this occasion, the manpower was raised by 150 people, reaching 1200. The 7-speed double clutch gearboxes are then commuted by the causeway to the Mercedes enterprises in Kecsemet, Hungary (B and CLA-Class) and in Rastatt, Germany (A, B and GLA-Class). In April 2014, Mercedes has decided to enlarge the development of production capacities in Sebes, groundbreaking the new hall for the production of the revolutionary automatic 9-speed 9 G-Tronic gearbox. It is a new stage of the over 300 million euros investment rolled by Daimler in Romania, which will activate 500 more jobs, apart from the 1,200 already existing. The main hall will be 43 000 sqm placed on a 72000 sqm land. The new 9-speed automatic gear box is currently manufactured in the Mercedes enterprise in Stuttgart and the Sebes factory will be the second and only location outside Germany to produce it. The new 9-speed automatic transmission is characterized by a long ratio of 9,15 between the first and 9th gear, which allows running at high speed with low revs, favouring the low fuel consumption. The new 9-speed automatic gearbox will be set up in all rear wheel drive Mercedes vehicles and will also allow coupling with 4-cylinder engines. This will gradually replace the current 7-speed automatic gearbox. 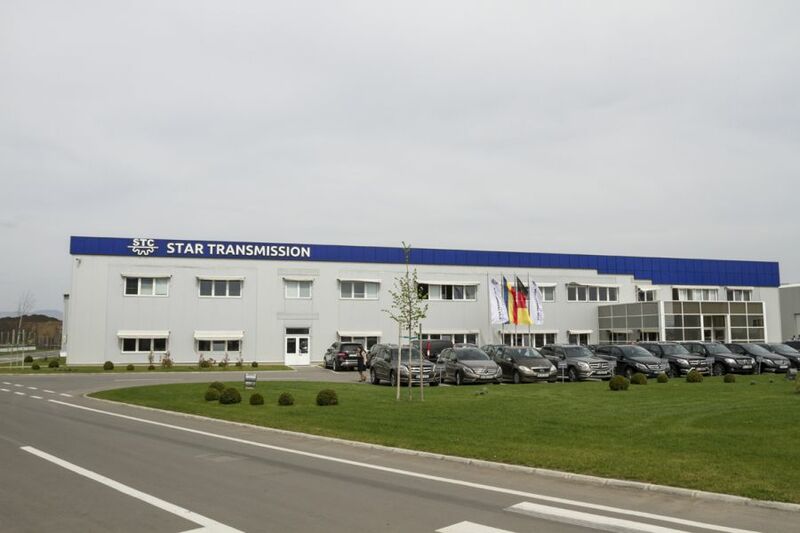 2001 – Daimler appoints the Star Transmission branch in Cugir, which started producing cogwheels for gearboxes and steering systems. 2012 – Star Transmission decided to expand to Sebes with a green field investment – Star Assembly – by building a brandnew production unit. July 2013 – The production of the 5-speed automatic gear boxes for the Mercedes utility vehicles starts. January 2014 – The production for the new 7-speed double clutch automatic gearboxes starts. They were destined for the new Mercedes compact range (A, B, CLA, GLA-Class, GLA Shooting Brake in 2015). April 2014 – a new production hall starts, in which the new 9-speed G-Tronic automatic gearbox will be built, starting 2016.